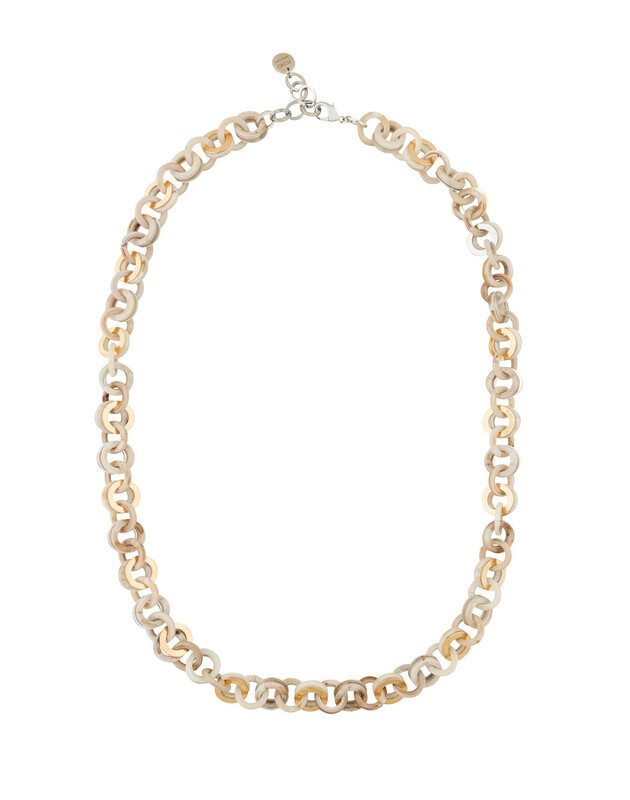 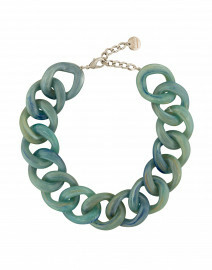 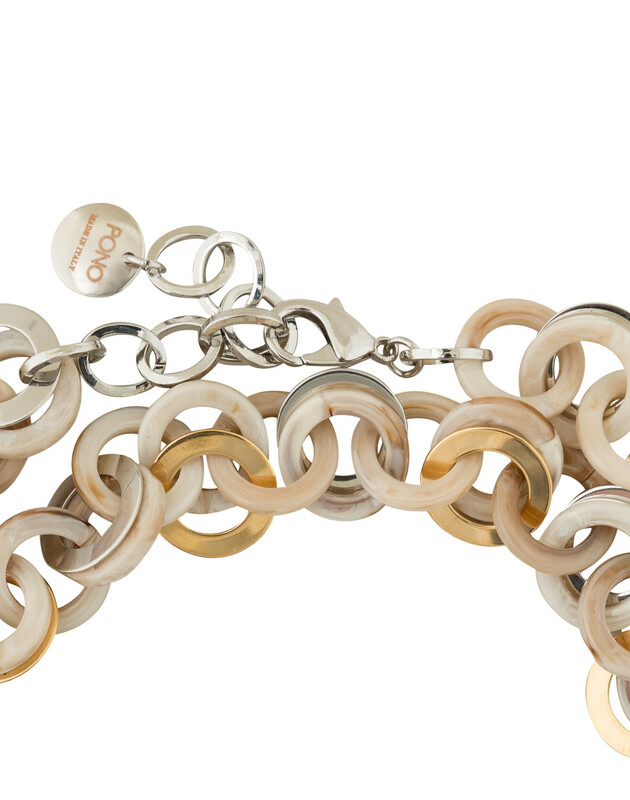 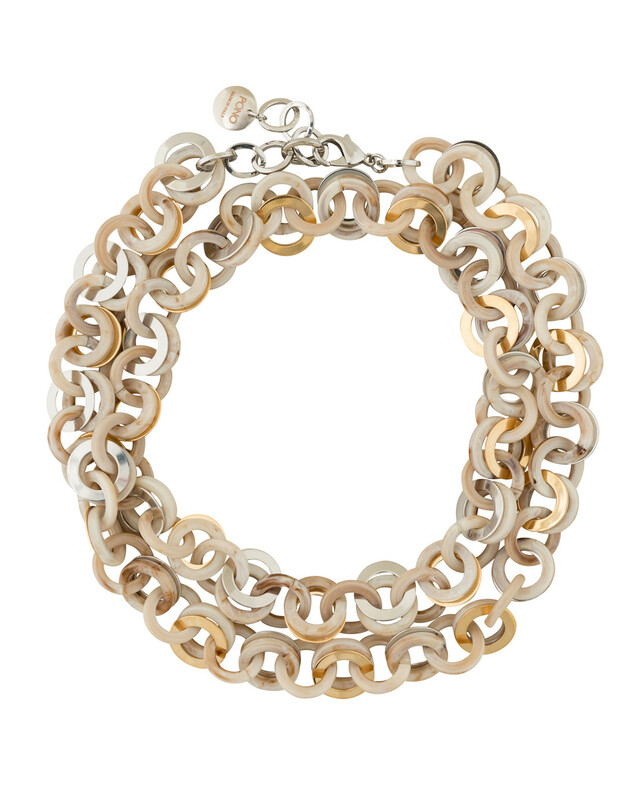 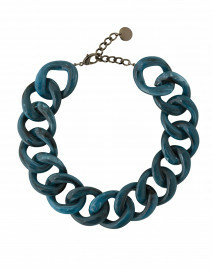 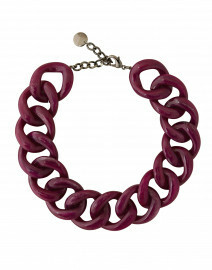 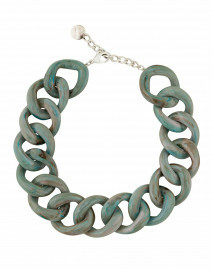 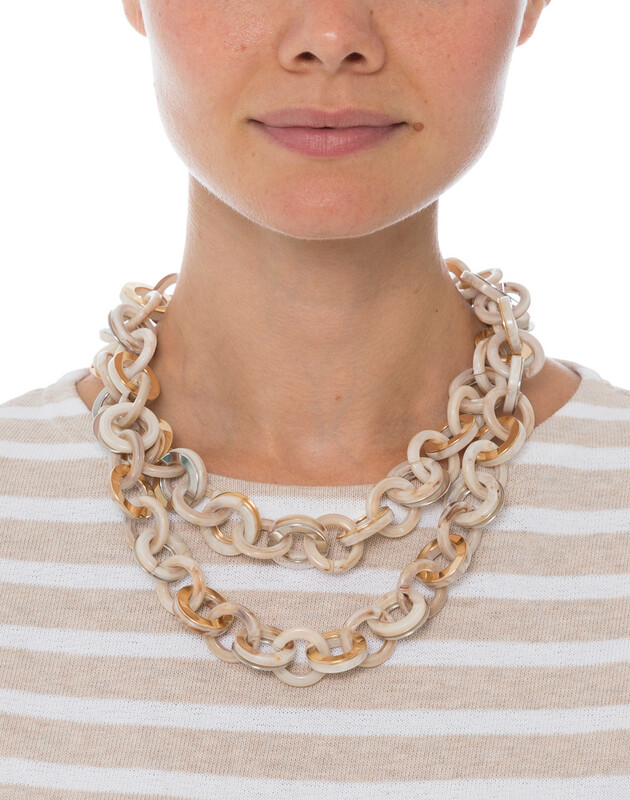 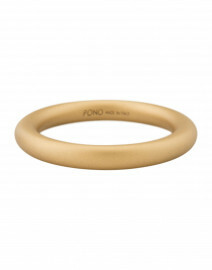 Delicately linked, this Sea Chain necklace from Pono is a timeless accessory. 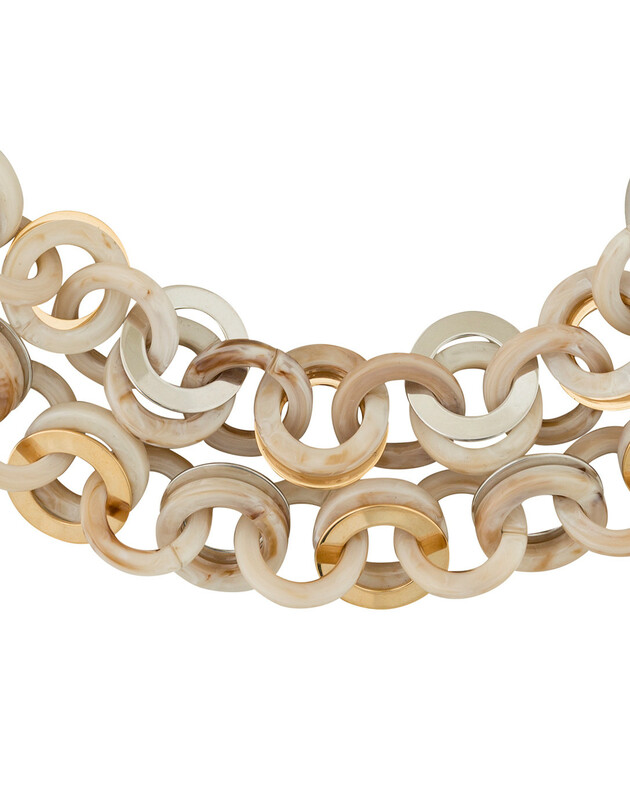 Matte circular Italian resin links paired with multi-metal accents effortlessly capture the refined eloquence of nautical fashion. 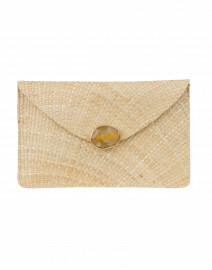 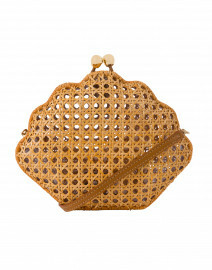 This versatile piece can either be worn long or doubled. 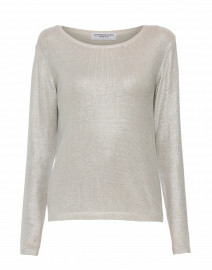 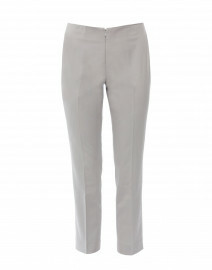 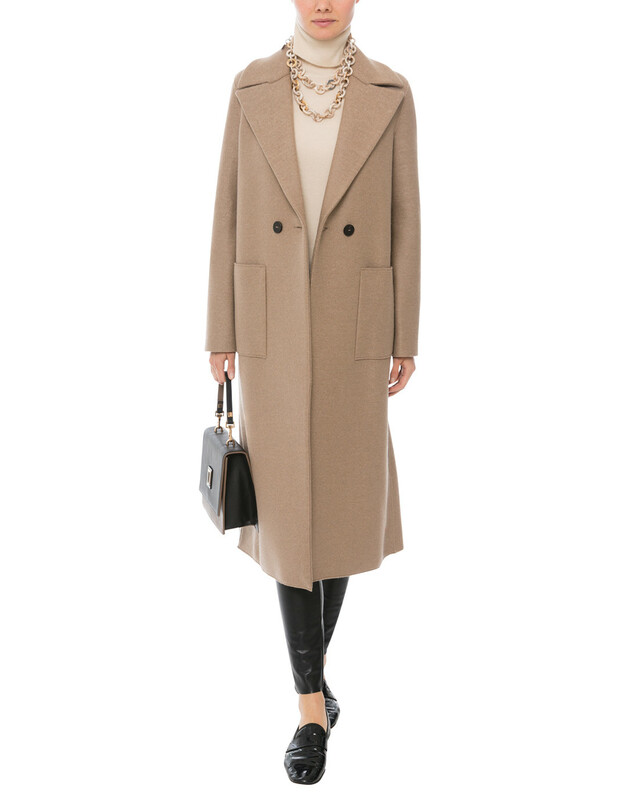 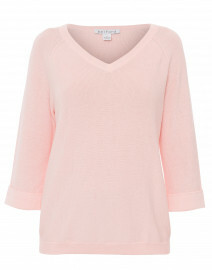 We love this style paired with a lightweight pullover and slim jeans for a polished daytime look.